We will listen to you and help create a programme, from short 1-2 hour sessions to full day or indeed week long programmes. Delivered on-site to increase staff participation. We can help you meet your training needs. Experienced trainers to deliver sessions to all grades of healthcare workers. All Grades of staff can be accommodated. Hospital management teams, Board Members, Consultant staff Clinical Managers, Nurses, Junior Doctors, Healthcare assistants, , Ancillary staff, Auxilliary staff, Physiotherapists, Radiologists, Radiographers, porters, Cleaning and support staff, patient services, workshop staff, hospital volunteers. 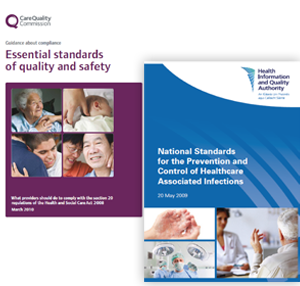 New National guidelines released but just no time to assess current practice or implement staff training? Experienced change management advice and support available. 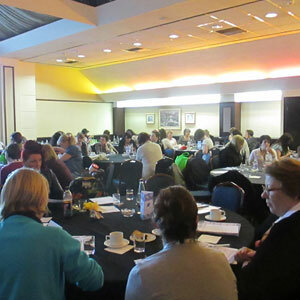 Planning a study day or educational day for your organisation members and need an interactive educational session or workshop? Medical Audits provide sessions on a variety of healthcare infection prevention and quality assurance topics – just give us a call and we can discuss some options. Our education programmes are developed by our Senior Education Facilitator - an honorary lecturer in the Royal College of Surgeons and the Clinical Lead for the Infection prevention and Control Post Graduate diploma course. Our courses are approved by the Irish Nursing Board (An Bord Altranais) and have CPD points attached to each session. As a group of experienced medics who are involved in the education of medical students, we wanted to be able to teach and assess hand hygiene in our curriculum. We also wanted to be able to integrate it into all of our clinical teaching. What we learned at the training provided by Medical Audits was an in depth understanding of hand hygiene and how to teach not only the skill but also the evidence and rationale. The engaging style of delivery hit exactly the right note for our international audience and the lively Q & A session which followed was a testament to the way in which Ann engaged with the delegates. We have already decided to invite Ann back next year. It was a pleasure to work with Ann. I found her to be professional, reliable and very supportive to students. She demonstrated an in-depth knowledge of all aspects of Infection Prevention and Control and has published in this area. Ann provided the students with up to date lecture notes, reading material and references which facilitated evidence based learning. She utilised varied methods of educational delivery, teaching aids and teaching methodologies. She mixed practical, interactive and theoretical lectures to support the well designed programme. The feedback from the students was excellent and they commented on the relevance to practice and clear practical examples during lectures and being very effective in assisting in their learning and understanding of the course content.